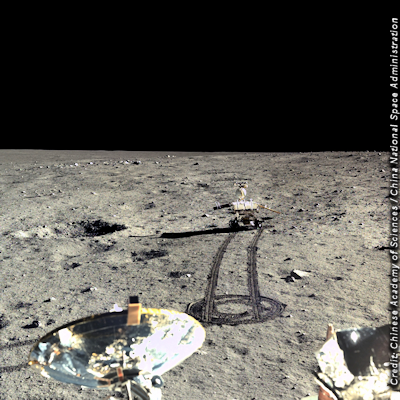 China’s National Space Administration has released a slew of stunning moon images taken by its Chang'e 3 lander and Yutu rover. The unmanned Chang'e 3 lunar mission reached the moon in December 2013. Last year the Yutu rover found evidence of a new type of balsatic rock on the moon’s surface.